An intensely powerful longing took hold of me and I could hardly wait to meet this Guru. Fortunately, not too long after that Mahaprabhuji was invited by the maharaja of Jodhpur to that city and so he blessed the people there with his glorious satsangs. Since Jodhpur was at a manageable distance, I decided to take this opportunity to visit him for the first time. 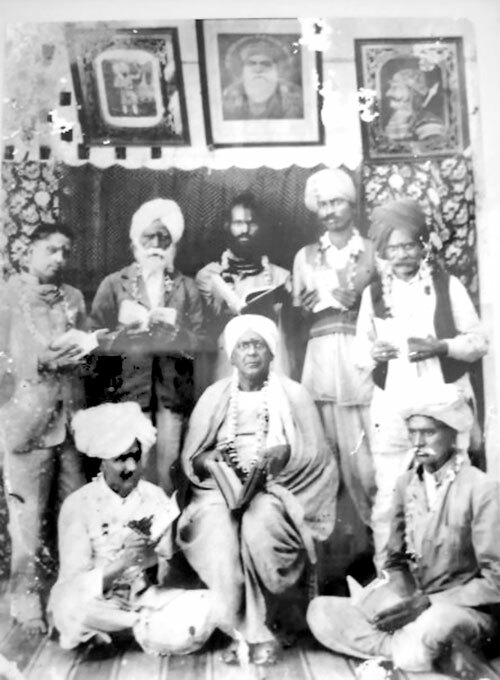 Due to the stories of Thakur Ragunath Singhji and Swami Bodhanandji, deep in my heart Mahaprabhuji was already my Master and I wanted to get to know him personally as soon as possible. I arrived at Jodhpur by train at nine o'clock in the evening and directly went to Mahaprabhuji's satsang. To my utter bewilderment, when I stood before him at ten o'clock, I saw none other than the Lord Krishna to whom I daily prayed in my meditation. My eyes filled with tears and I fell to my knees. I had only one wish and that was to surrender myself completely. Merciful Mahaprabhuji placed his holy hand on my forehead. "My son, I have saved you forever. Remember the words I spoke to you three and one-half months ago in your meditation." As they must, the words of the Lord had come true. From that moment on I dedicated my life to him and promised to stay with him forever. At the age of seventeen I knew I had found the everlasting Light of my life and decided to spend the rest of my life under his merciful care.